"We've noticed that a number of public sector organisations have begun recruiting again with renewed vigour... in their efforts to implement budget cuts there has been a degree of over-firing. We've seen the number of people leaving public sector employment slow as they reach the minimum they need to provide services, while some have gone too far and they need to begin re-hiring." 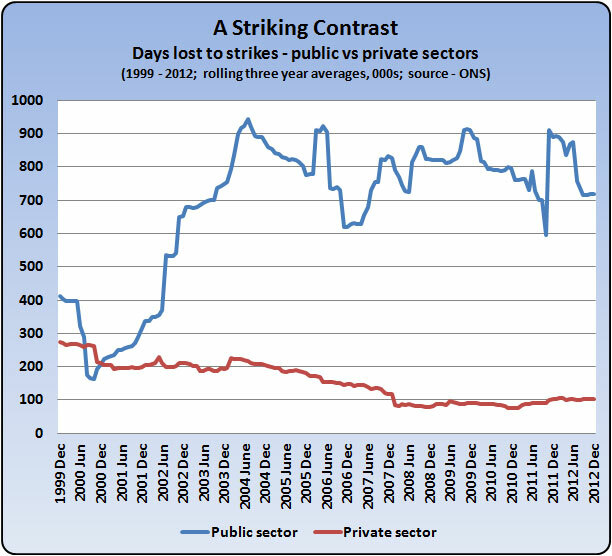 Yes, that's right: the public sector is now trying to replace staff it only just fired. 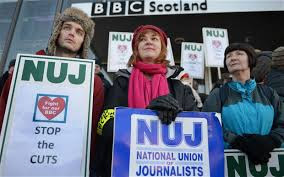 And it's doubtless paying organisations like Manpower a big fat fee along the way, having already doled out who knows how much in redundancy payments. 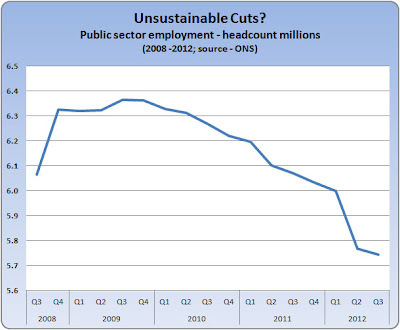 The big picture is that public sector employment has fallen by about 600,000 from its peak under Labour. That's a headcount reduction of around 10%, and although the cut in full-time equivalents is less (around 400,000), that seems like a pretty impressive response to the fiscal squeeze. Maybe George is going to do it after all. But not if the reductions are now being reversed. The public sector has a long and sorry history of cutting the wrong jobs, and then having to shell out even more to fill the gaps. In some cases, that means bringing in temps who are much more costly than directly employed staff, even though they are often the very same people who've previously been employed by the public sector. 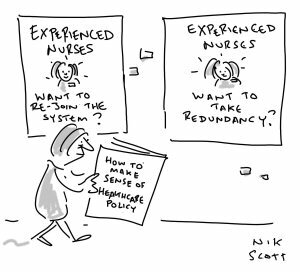 For example, back in 2006 it emerged that the NHS was spending nearly a billion a year on agency nursing staff to cover for a shortage of permanent nurses (see this blog). "MORE than £3 million was paid out in redundancy packages to 171 council workers – only for them to return to work for the same authority in new jobs. Staffordshire County Council ran up the bill over the past three years, paying off staff who had lost their posts. But the same employees were later rehired to fill new roles at the local authority. The details have emerged after The Sentinel revealed neighbouring Stoke-on-Trent City Council had shelled out £330,603 in redundancy payouts to 25 workers, only to re-employ them. 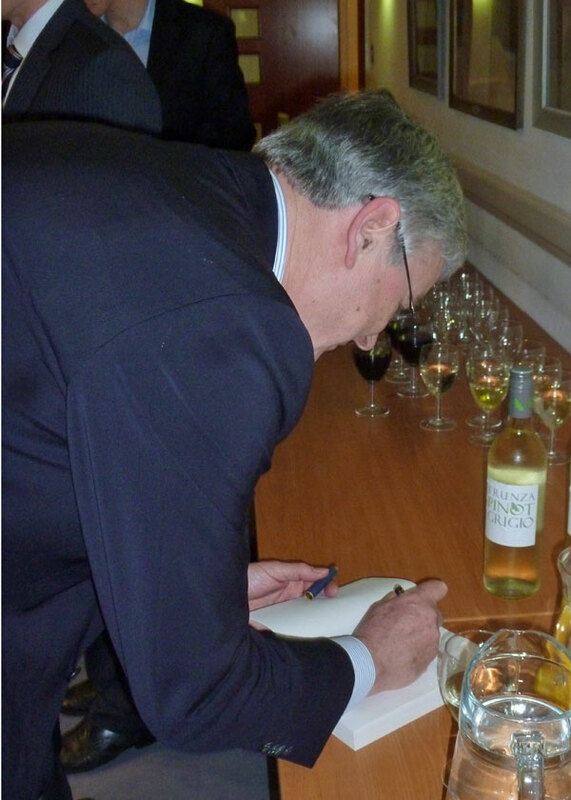 One person was taken back on the council's books just 27 days later." 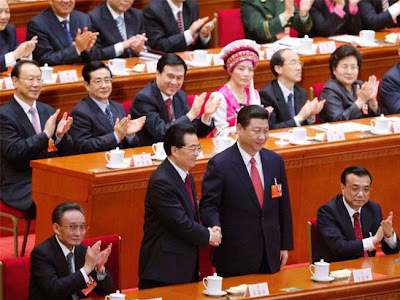 "In central government there has been a reliance on voluntary redundancies. This allows some people in key roles to leave, creating gaps that need to be filled at a later date. Some of the hiring over the next few months will be re-hiring to fill these gaps." Well, isn't that great. In the private sector, managers cannot afford to wimp out of making tough decisions on who goes and who stays. 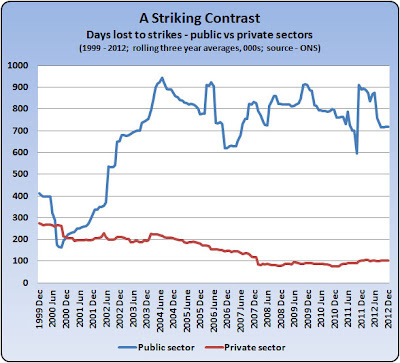 But public sector managers leave the choice to their staff, with the costly consequence we now see. "Most departments cannot link costs to outputs to identify the consequences of changes in spending. This lack of basic management information is a serious impediment to making sustainable cost reductions that minimise the impact on frontline services. An understanding of how spending relates to key outputs is a necessary prerequisite of good decision-making and is essential if departments are to understand the impact of changes in spending." Organisations that cut staff and spending without having a clue how that will affect the services they deliver are organisations that need to go out of business. But while the public sector still has a monopoly on our vital services that isn't an option. Break it up, bring choice and competition to bear, and force managers to think about efficient service delivery rather than blind cost cutting. 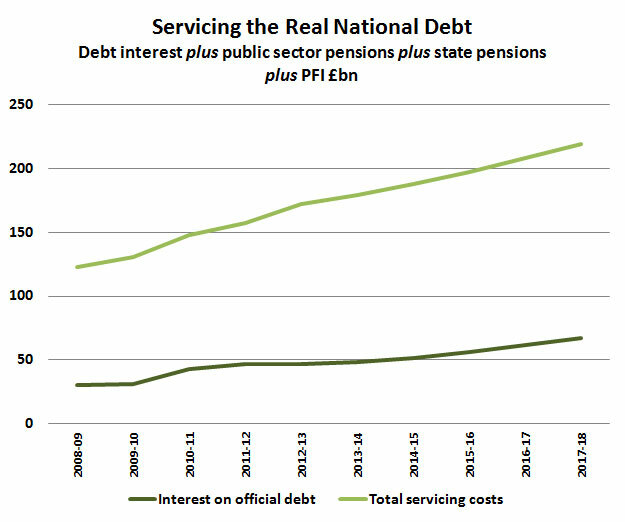 Today's IEA speech by Doc Fox was a sharp reminder of how far we have strayed from the paths of fiscal righteousness. 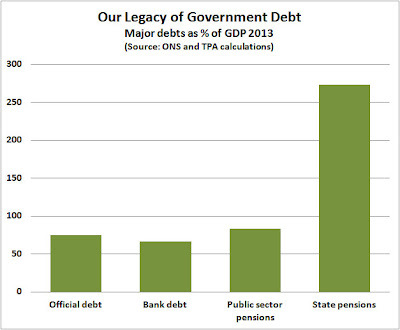 We have overspent, over-borrowed, and overtaxed. We have encouraged welfare dependency, and stifled the economic dynamism that made us rich. We have left undone those things we ought to have done, and done those things which we ought not to have done, and there is no health in us. The question of course, is how do we put it right? And in particular, how do we get government spending down? The Doc makes a number of excellent suggestions, including the abolition of universal welfare benefits, and removal of the protective ring-fence around the NHS and foreign aid. 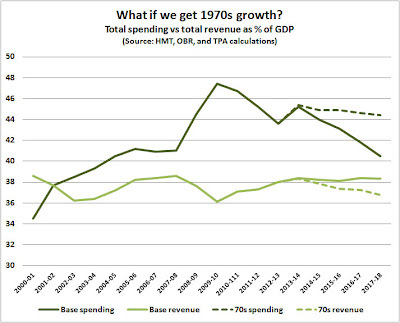 But his big headline idea is a 3 or 5 year freeze on public spending, which he estimates would save us over £300bn. Which sounds very appealing, but could it work? 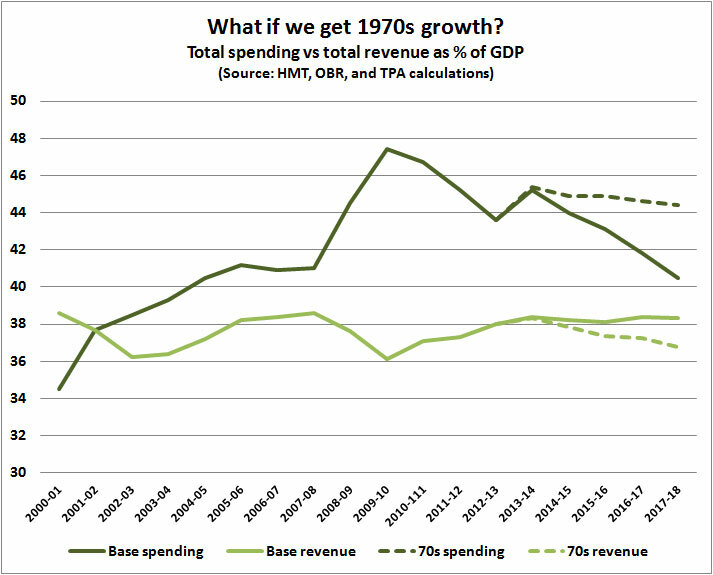 A 5 year freeze would lop around £90bn off spending in 2017-18, or about 12% of what's currently planned. 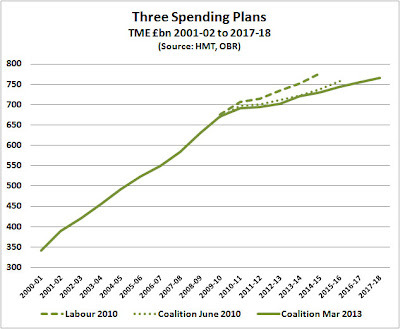 It would take spending in real terms back to the level it was in the middle of the last decade - mid-way through Labour's spending splurge. Given all those tens of billions of waste we blog about, that hardly sounds like it would destroy our public services, so maybe it could work. Well, it could work if it was done right. The wrong way to do it would be to freeze spending across the board and simply leave public sector bosses to figure out how to make the savings. That's known as "starving the beast", and although it has the attraction of simplicity, past experience tells us that a starved beast is much more likely to deliver waiting lists and terrible services, rather than efficiency and value. A more promising approach is to cut spending by focusing directly on value-for-money: managing things better and getting more for less. That's the good housekeeping approach of every little bit helps, and it's pretty well what successive governments have been attempting for at least the last forty years. 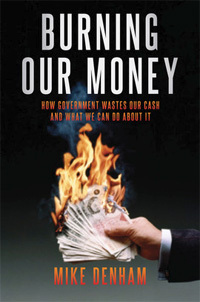 Take government procurement spending. That's running at well over £200bn annually, and it has long been a target for efficiency savings. It was a major element in Brown's failed Gershon efficiency programme, and one of the Coalition's first acts was to commission retailer Sir Philip Green to identify procurement savings. The idea is that government (aka the Simple Shopper) bumbles around buying the wrong stuff at grossly inflated prices, so there must be huge scope for doing it better. 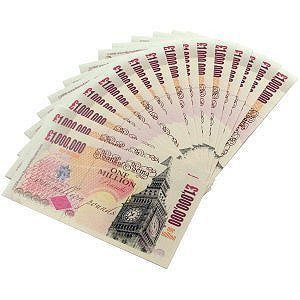 And after his probe, Philip Green reckoned he could save £20bn pa just from central government procurement "without even breaking sweat". But in practice, delivery of the savings always turns out to be very much more difficult than ministers are led to believe. For example, the National Audit Office has recently given us an update on the Coalition's attempt to institute a systematic programme of central purchasing for central government departments. Although the"strategy is the most coherent approach to reform to date", the NAO reckons it's only actually saved £426m out of total spending of £45bn - a derisory 1%. "It is a major programme of change for central government, with considerable shifts in behaviour required within departments to ensure it meets its objectives. Its success will depend on full participation among central government bodies, and it is important that the Cabinet Office has in place appropriate governance structures to enable this shift in behaviours." A shift in behaviours. Yes, that's certainly what's needed. But how do you get it? How do you get central government bureaucrats to prioritise saving money over departmental power? And if it can't even be done within Whitehall itself, how on earth can we expect to do it across the rest of the public sector, such as the NHS and local councils? Because the Coalition's centralised procurement programme only applies to central government departments, which account for less than one-fifth of total public sector procurement. The reality is that every little bit will help, but to achieve the kind of savings the Doc has in mind will take something far more radical than either starving the beast or good housekeeping. It will take the kind of fundamental reform outlined in the book of BOM: downsize, decentralise, demonopolise, and deuniversalise. To get a real shift in behaviours we have to dismantle our hugely centralised welfare state, and introduce the spur of competition. We don't suppose that's telling the Doc anything he doesn't already know. But we do wonder about some of his colleagues... well, quite a few of his colleagues actually. "As the independent Office for Budget Responsibility has made clear, growth has been depressed by the financial crisis, the problems in the Eurozone, and a 60 per cent rise in oil prices between August 2010 and April 2011. They are absolutely clear that the deficit reduction plan is not responsible. In fact, quite the opposite." Oh dear, oh dear, oh dear. Surely someone should have checked the facts before putting that in Mr Cam's speech. Because now the head of the Office for Budget Responsibility has quite rightly pointed out to the entire world that Mr Cam is seriously misquoting him. Far from saying that the deficit reduction plan is not to blame for weak growth, the OBR actually says that the plan probably cut GDP by 1.4% in 2011-12. Either the PM didn't bother to look at what the OBR had said, or... well... he's tried to get away with an inexactitude. Of course, that figure of 1.4% is only an estimate, and as the OBR explains, different left and right handed economists have a wide range of opinions as to what the true figure might be. But the key point is that our PM should at least have checked the OBR's view before quoting them as a reference. In reality, while the financial crisis, the Eurozone crisis, and the oil price hike have severely dented GDP, not many doubt that the deficit reduction plan has also had a depressing effect: spending cuts and tax increases tend to do that. As always with fiscal retrenchment, it's a question of short-term pain against the long-term gain of lower deficits and - in the case of spending cuts - lower taxes. "Discretionary consolidation between 2009-10 and 2011-12 was planned to be 2.8 per cent of GDP at the time of Labour’s last Budget. 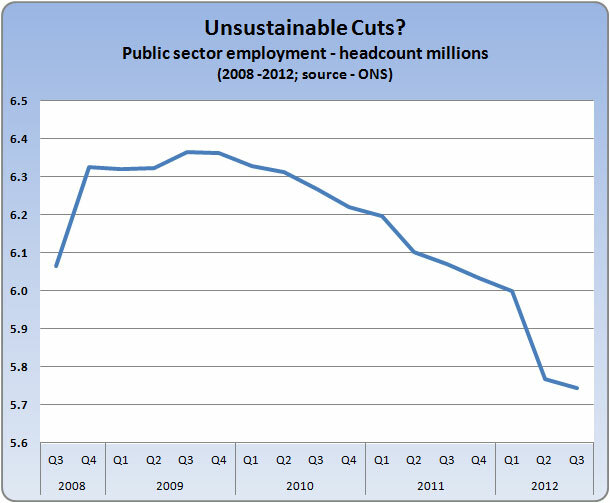 The Coalition increased this to 3.7 per cent of GDP in June 2010." 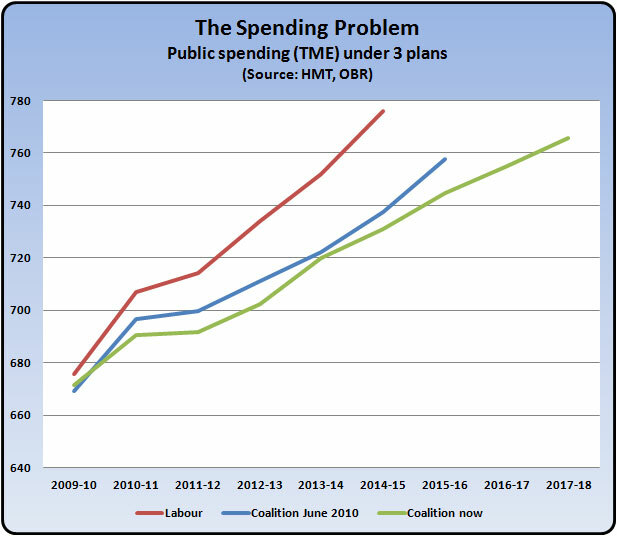 In plain English: 75% of the deficit reduction measures through to 2011-12 were Labour rather than Coalition decisions. Despite what Balls and Millie might inexactitudinally suggest, most of the deficit reduction plan was down to them rather than the evil Tories. Which just goes to show how very timid Mr Cam has been. Getting taxes down to help hard working people can only be done by taking tough decisions on spending. That is what we are doing in our plan. And this month’s Budget will be about sticking to the course. Because there is no alternative that will secure our country’s future." Well, she's been away quite a while, but we all remember Tina as a no-nonsense kind of a gal, and if Mr Cam is now walking out with her that's excellent news. 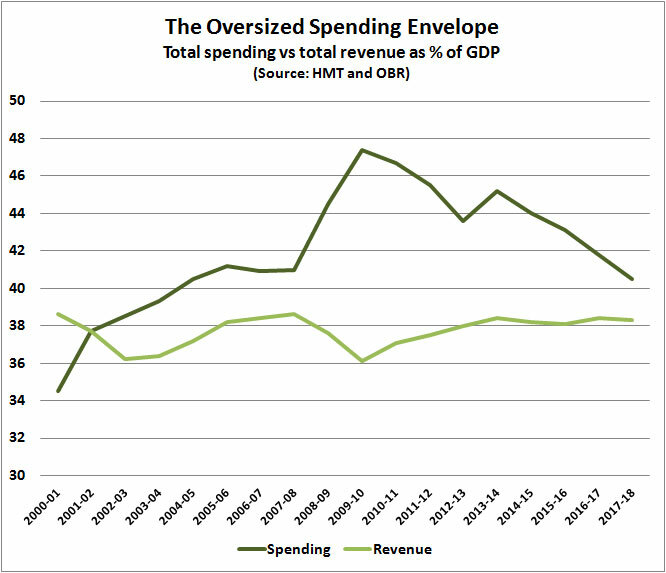 The public finances must add up, and to get sustainably low taxes, public spending needs to be a lot lower than it's been over the last decade. Tina loves that kind of talk. But she'll also be asking how the economy's supposed to get motoring without some serious tax cuts. Monetary policy could hardly be looser, with the currency down 20% over the last five years, but it hasn't done the trick. We surely need more tax cuts. OK, we'll come back another day to the issue of whether unfunded tax cuts can pay for themselves. 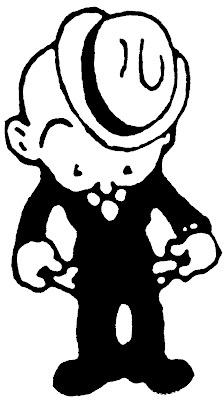 At least Tina will agree with Mr Cam that he needs to take those tough decisions on spending. The problem though, is that he hasn't taken enough of them. 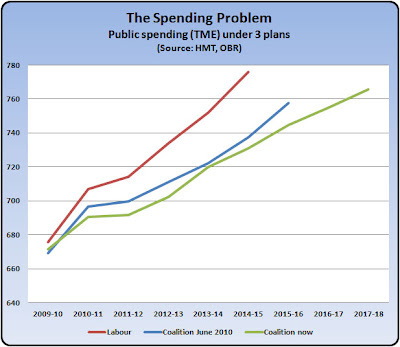 As we blogged a few days ago, the cuts so far announced have done little more than scratch the surface of Labour's huge spending surge. Spending continues to grow year by year, and government debt continues to mount, leaving serious tax cuts as jam tomorrow. 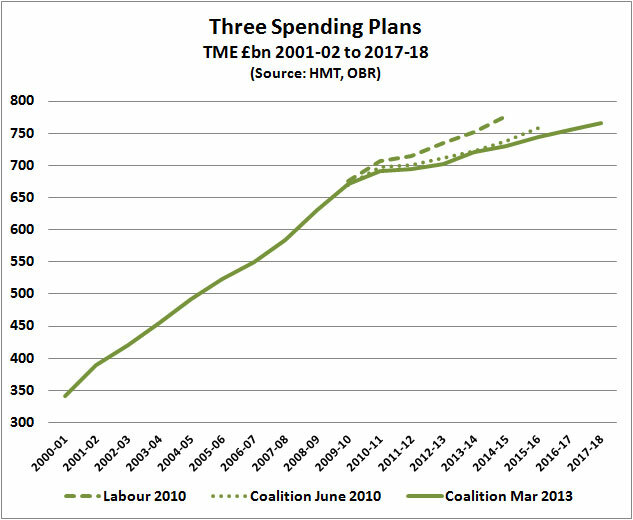 Even when we adjust for inflation, total spending is only planned to fall by 5% from the level inherited by the Coalition. A big chunk of that reflects the fall in emergency capital spending, and for the rest, much of the detail has yet to be agreed (hence the public arguments between cabinet "colleagues"). Difficult, even for Tina. 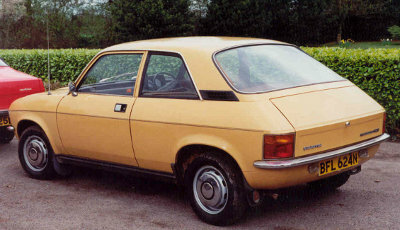 And last time she was around back in the 80s, she didn't get it right. What happened back then was that our key public services like health and education were starved of funds for over a decade. 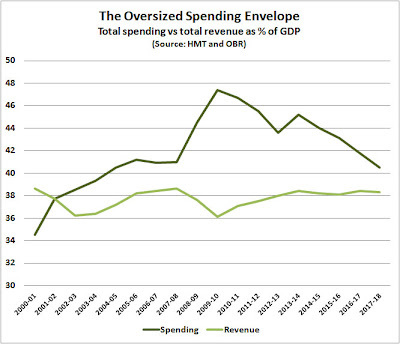 Public spending wasn't actually cut overall, but budgets failed to keep pace with the growth of demand, most obviously in the health service. The NHS fell ever further behind its European counterparts in the acquisition of new drugs and technology, and the condition of its hospitals. Many tens of thousands of us died from conditions that should have been treatable. 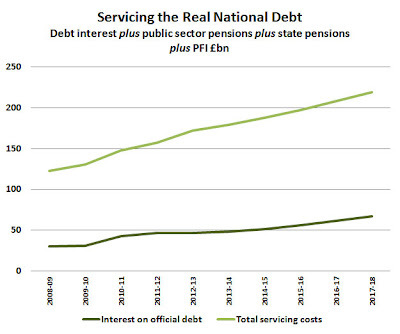 Balancing the fiscal books resulted in public services that failed to deliver what we wanted. Which is why this time Tina must think more radically than just cutting or even starving. She needs to think about restructuring the public sector and the way our public services are delivered. 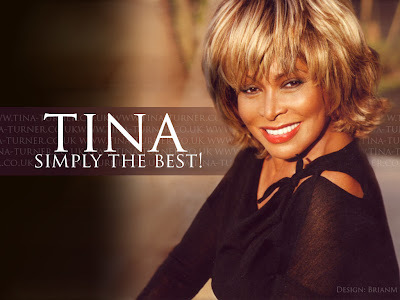 We hope Tina is reading this, and we'll be giving her more detail on each of them in blogs to come. "The UK has had universal free health care and public health programmes for more than six decades. Several policy initiatives and structural reforms of the health system have been undertaken. Health expenditure has increased substantially since 1990, albeit from relatively low levels compared with other countries.... However, the UK performed significantly worse than the EU15+ for age-standardised death rates, age-standardised YLL rates*, and life expectancy in 1990, and its relative position had worsened by 2010." Today's report in the Lancet is a timely companion to yesterday's blog. Not that it tells regular BOM readers anything particularly new about the under-performance of our nationalised healthcare system, but the facts need to be known much more widely, and this Lancet study has certainly grabbed the headlines. 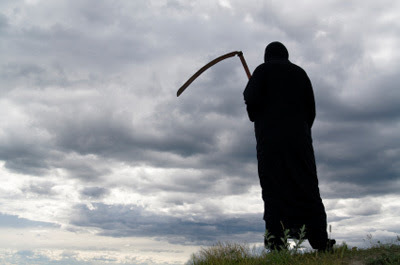 The study focuses on premature death, and as we've blogged many times, compared to its counterparts just across the Channel, the NHS is pretty poor at keeping us alive. In the BOM book we summarise the key figures on premature death, including our low survival rates for cancer and heart disease. In fact, every year around 50,000 of us - the population of Salisbury - die from diseases which should in theory have been treatable (so called Mortality Amenable to Healthcare). Of course, no healthcare system manages to prevent all such deaths, but the European social insurance systems do much better. And although our life expectancy has increased hugely under the NHS, nobody can seriously argue that's down to the NHS itself. While life expectancy has increased by around 13 years since the NHS was founded, in the previous five decades it had increased by 20 years. These are worldwide trends, and they reflect improvements in medical knowledge and diet much more than the efforts of our underperforming NHS. However, despite the headlines, the Lancet article did not set out to be an NHS hatchet job. Rather, it puts the blame for our poor showing on our own unhealthy lifestyles - too many horse burgers and not enough press ups. And the report's authors clearly want more state intervention to control our unhealthy lifestyles. More public health programmes, more booze taxes, more fat taxes, more sugar taxes, more indolence taxes, etc etc. You can certainly see how you get there - if we could all be hassled or forced into living healthier lives, we'd almost certainly live longer and probably save the NHS a shed-load of cash. It's exactly the kind of thinking that drove Labour's anti-obesity programme, although somehow they never did get round to fat and sugar taxes. Except of course, that's not how the better performing countries do it. Although France, Spain, and Italy all outperform us in this study, my own extensive research suggests that their booze taxes, at least, are an awful lot lower than ours. The issue is rather more complex than comparative tax rates and public education campaigns. What this study really highlights is that when it comes to health, we have a lot to learn from our neighbours. None of them have a nationalised health system, yet most of them enjoy longer healthier lives than us. Instead of pretending our healthcare system is the envy of the world, we should have the humility to look and learn. PS I've just been listening to Sir David Nicholson being grilled by the Health Select Committee. I must say I admire the guy's sheer nerve. Yes, he says, terrible things happened at mid-Staffs while I was in charge of the regional health authority, but I knew nothing about it. Barclays tried that one, but Diamond still had to walk the plank. And even if Nicholson didn't know, he surely should have done. As we've said many times on BOM, you can delegate authority, but you can never delegate responsibility. Two years away from blogging, and it's time to check how the NHS is doing under its current consultant Mr N.H.S Cameron. We have to start with mid-Staffs. It ought to be old news - we started blogging it in 2009 - but last month's Francis Report has shone an even more scary light on how an NHS Foundation Hospital (yes, a Foundation Hospital!) managed to kill as many as 1200 of its patients. I've been reading the report, intending to quote some of the many personal accounts of horrific standards of care meted out to patients: loved ones left lying for hours in their own urine and faeces - their cries for help ignored by staff - left without food and water, illnesses made worse rather than cured, and bed sores, broken bones, gashes, and hospital infections just a routine part of the grim patient experience. "I heard so many stories of shocking care. These patients were not simply numbers they were husbands, wives, sons, daughters, fathers, mothers, grandparents. They were people who entered Stafford Hospital and rightly expected to be well cared for and treated. Instead, many suffered horrific experiences that will haunt them and their loved ones for the rest of their lives." "A number of staff and managers at the hospital, rather than reflecting on their role and responsibility, have attempted to minimise the significance of the Healthcare Commission's findings. The evidence gathered by this Inquiry means there can no longer be any excuses for denying the scale of failure. If anything, it is greater than has been revealed to date. The deficiencies at the Trust were systemic, deep-rooted and too fundamental to brush off as isolated incidents." target-driven priorities – a high priority was placed on the achievement of targets, and in particular the A&E waiting time target. The pressure to meet this generated a fear, whether justified or not, that failure to meet targets could lead to the sack. disengagement from management – the consultant body largely dissociated itself from management and often adopted a fatalistic approach to management issues and plans. 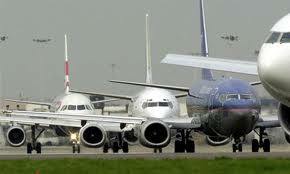 There was also a lack of trust in management leading to a reluctance to raise concerns. acceptance of poor standards of conduct – an unwillingness to use governance and disciplinary procedures to tackle poor performance... incidents of apparent misconduct which were not dealt with appropriately, promptly or fairly. denial – In spite of the criticisms the Trust has received recently, there is an unfortunate tendency for some staff and management to discount these by relying on their view that there is much good practice and that the reports are unfair. 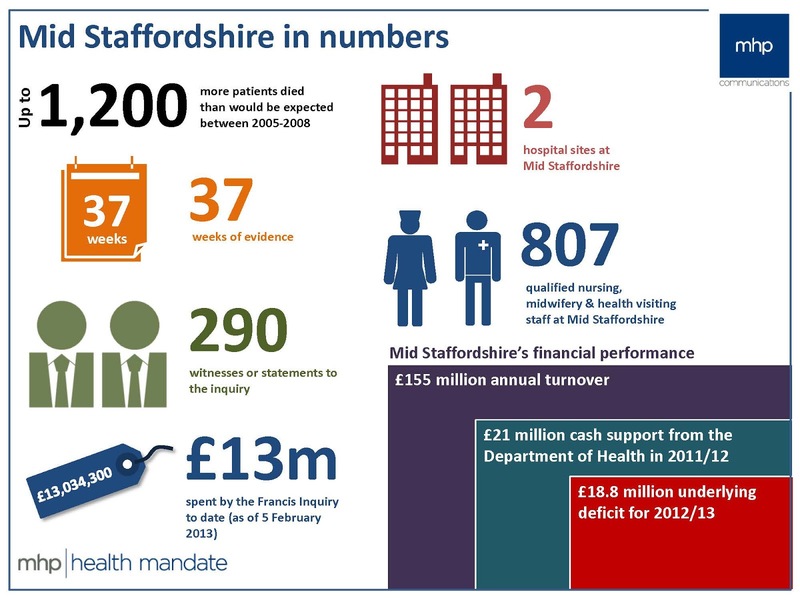 The management of the Trust clearly bears a heavy responsibility for all this, and the Report shows how they made a series of ill-informed and ultimately catastrophic decisions about resourcing and organisation. It also shows how they routinely dismissed and suppressed criticism, even when confronted with the cold hard statistics of rampant death on their wards. Ah yes, those cold hard mortality statistics. 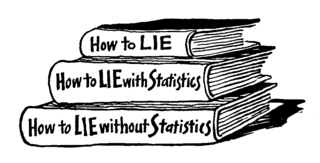 BOM always tries to support argument with stats, but when it comes to public sector performance, the stats so often turn out to be damned lies, fabricated to hit targets and tick boxes rather than illuminate the truth. And so it seems to have been with hospital deaths. The problem is that not all hospital deaths have been counted in a hospital's official mortality stats. For example, hospitals were allowed to exclude the deaths of those receiving palliative care (ie terminal patients who were merely being given pain relief while they died). So at the Wolverhampton Hospital, deaths recorded under palliative care were bumped up from 2% to 20%, double the national average; deaths from other causes - the ones that did count in the official stats - were correspondingly reduced. The Royal Bolton Hospital seems to have pulled a similar stunt with septicaemia deaths, which are also excluded from official mortality figures. And there are probably countless other examples around the country. Now of course, all of this took place under the previous regime, so we can't blame Mr N.H.S. As a Conservative he fully understands the disastrous consequences of the old Stalinist regime, He's pledged to abolish targets, stop box-ticking, and enforce accountability via the criminal law if necessary. Well, er, he kind of suggested that's what he'd do. What he's actually done seems to fall some way short. Most extraordinarily, he has not fired the Chief Executive of the NHS - Sir David Nicholson - even though at the time of mid-Staffs disaster Nicholson was first in charge of the local Strategic Health Authority, and then CEO of the entire NHS. Long-time readers may also recall that when we first encountered him at a Public Accounts Committee hearing in 2006, we were somewhat less than impressed. He should be gone. And then there are those targets. I've perused the Department of Health website desperately trying to pin down what's actually happened to them, but I'm blowed if I can work it out. It's possible they've largely been abolished, although I'd need to do much more digging to find out for sure. And on the ground - ie down in the hospital wards - personal experience just before Christmas suggests the nurses are still spending just as much time ticking boxes and filling in forms, rather than caring for patients. Besides, even if the targets and the tick-boxes have gone, there's a much more fundamental problem with the NHS. 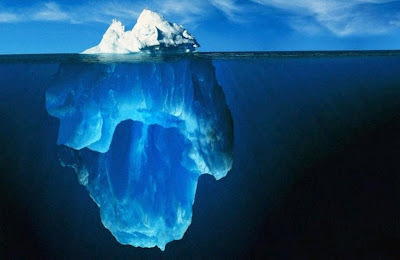 And it's one that bubbles just under the surface of the entire Francis Report: the insidious effect of unaccountable institutionalised power. We've recently seen how corrosive this can be in other organisations, from the Catholic Church to the Liberal Democrats: powerful men abusing their positions, and even when they're discovered, continuing to enjoy the protection of an institutional cover-up. And in the case of mid-Staffs, Francis spells out how staff felt intimidated by management, making them reluctant to report problems, still less blow whistles. From the disassociated fatalism of the consultants through to the cowed cowering nurses, nobody was prepared to stand up for fear of losing their job. "Patients’ attitudes were characterised by a reluctance to insist on receiving basic care or medication for fear of upsetting staff." We all recognise this. We've all been there. If you complain, are you just going to make things even worse? You or your loved one are in an extremely vulnerable position, entirely dependent on the service provided by staff. If you piss them off, who knows what might happen? You are stuck, and your only hope is to schmooze and nudge them into doing the right thing. Being a member of the sharp-elbowed middle class, I like to think I'm fairly good at doing that. Disgusting myself, I'm prepared to use every trick in the book - crawling, sympathy, flattery, the works. Often that does the trick. But it shouldn't be necessary, and what if you're no good at it? And what if it fails? 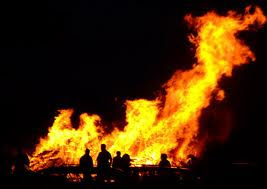 Personally, I've developed a technique of suggesting escalation to higher authority without actually threatening to do it: more along the lines of "look, I can see you're doing your very best, but you're obviously stretched beyond the limit, and I've got to consider my sick child. I'm seriously concerned and I can't just stand by... who would I talk to?" The power of choice and competition. The power of simply being able to take your custom elsewhere. The power of a paying customer rather than a helpless supplicant. So much more direct and effective than hoping Mr N.H.S can somehow sort the problems before we get killed. * Apologies to Lost Nurse for getting back on the Tesco worship so soon. We do realise that healthcare is not quite the same as groceries, and we will try to limit our grocery sermons. ** Excellent graphic from MHP Communications.